It is required that the information provided by the Client at the time of signup be accurate and valid. 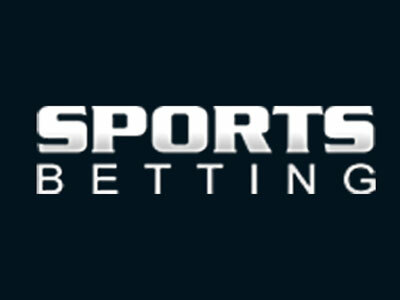 SportsBetting.ag reserves the right to reject or cancel any account created if it has been determined that the Client has already created an account, that the information is invalid or inaccurate, has been blacklisted, or for any other reason left to the sole discretion of management. By opening an account with SportsBetting.ag, the Client agrees that all SportsBetting.ag client rules, policies and operating procedures will apply to them. SportsBetting.ag reserves the right to refuse Client’s action or close their accounts if necessary to comply with any requirements that may be established. Clients shall not open more than one client account per household without prior written consent from SportsBetting.ag. If a client would like to test the system, Sportsbettng.ag will provide the client with a demo account. In the event of a violation, SportsBetting.ag has the right to void all current and future account activity. SportsBetting.ag will keep periodic track of Clients’ account activity at all times and will supply reports summarizing this activity. The format, content and frequency of the reports may vary from time to time at our sole discretion. The client reserves the right to question or request clarification of rules, policies and procedures implemented by SportsBetting.ag. In the event there may be a discrepancy on the account, the client may request a report of their account activity at anytime online. The term of this Agreement will begin upon Sportbetting.ag’s written confirmation of the creation of your account. Either SportsBetting.ag or the client may terminate this Agreement at any time, with or without cause. SportsBetting.ag has the right to terminate the agreement without prior notice if the client breaches any terms or conditions of this agreement. Any expression by SportsBetting.ag is an expression of opinion only and the client agrees, understands and acknowledges that they have not been induced to, and/or persuaded thereby to, enter into this “Agreement” and that the Affiliate has entered into the Agreement of their own free will and choice, without any force or duress, and only after thorough, complete, full, and thoughtful investigation and after obtaining independent advice and counsel from their accountant, their attorney, and their financial advisors. The client shall defend, indemnify, and hold our affiliates, directors, officers, employees, and representatives harmless from and against any and all liabilities, losses, damages, and costs, including reasonable attorney’s fees, resulting from, arising out of, or in any way connected with (a) any breach of warranty, representation, or agreement contained in this Agreement, (b) the performance of your duties and obligations under this Agreement, (c) your negligence or (d) any injury caused directly or indirectly by your negligent or intentional acts or omissions. SportsBetting.ag makes no express or implied warranties or representations with respect to their services. In addition, we make no representation that the operation of our site will be uninterrupted or error-free and will not be liable for the consequences of any interruptions or errors. SportsBetting.ag will not be liable for indirect, special, or consequential damages (or any loss of revenue, profits, or data) arising in connection with this Agreement, even if we have been advised of the possibility of such damages. Nothing in this Agreement shall be construed to provide any rights, remedies or benefits to any person or entity not a party to this Agreement. Our obligations under this Agreement do not constitute personal obligations of our directors, officers, employees or shareholders. 🎁 405% No Rules Bonus!